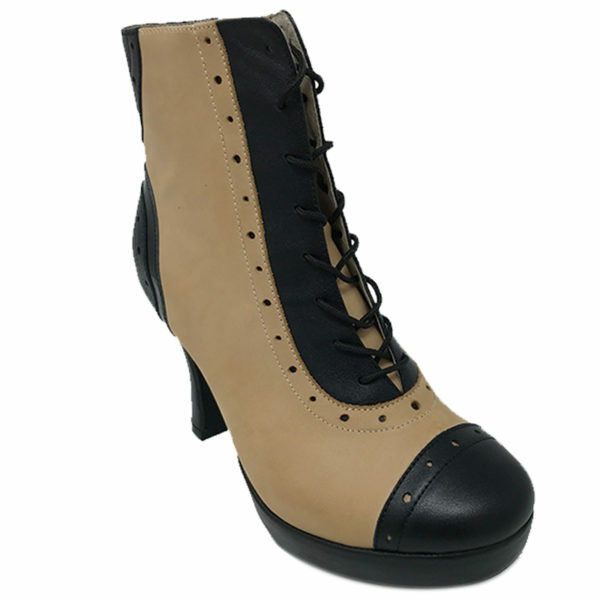 Description: One of our hottest shoes to date! Whether you’re center stage for Hip Hop, in a high fashion event or just looking to show off, this shoe is a great choice for you. 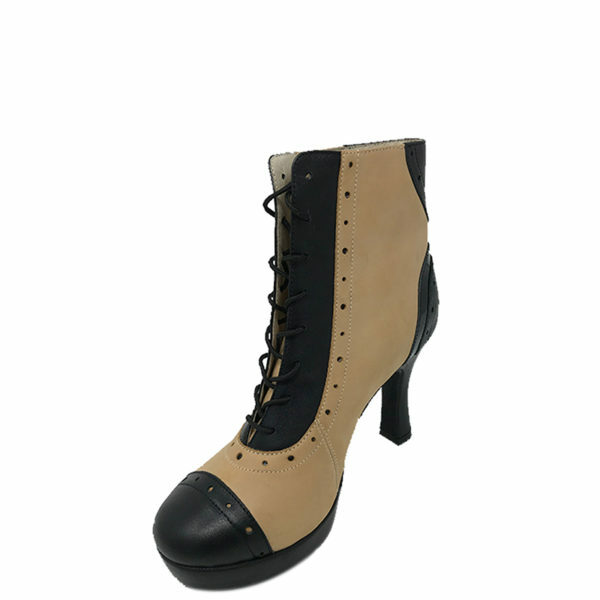 Czarina Chic Rubbersole Half Platform Leather/Leather/Patent Leather Black/Taupe/Black F3.5 Heel.